We released a special page for our recordpool. 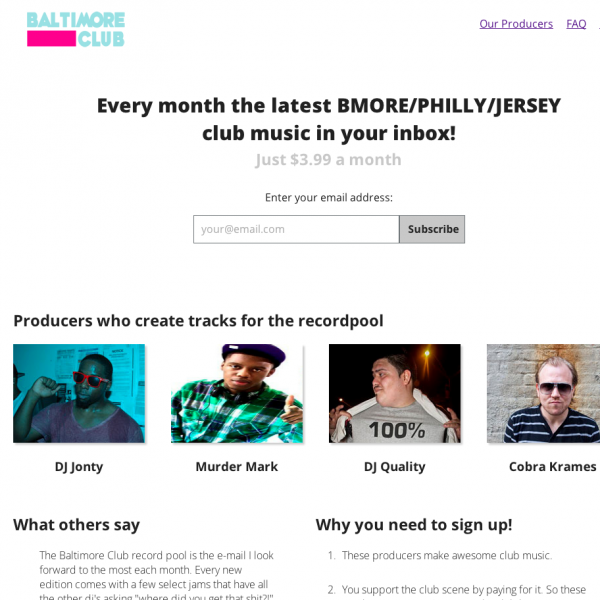 Check it out at recordpool.baltimore-club.com ! With testimonials by Dubbel Dutch and DJ Clay Collier. If you haven’t sign up you definitely miss something. We already send out 11 packages with an average of 12 to 22 tracks. We have great club producers, variating from Baltimore Club, Philly Club, Jersey Club to NY Club. Check out the producers at our Producers page at the new recordpool website. This is the tracklist of the November Package.